I realize this post won't apply to most of my readers, but I would encourage you to read along and add to your general life knowledge. For those who linked here from my pipe and tobacco message boards, I wanted to share a little experiment I did last month. I've been smoking a pipe since the mid 1980's (with a large break in the early 2000's as I worked out an answer for my children who would ask why I smoke a pipe). My palate was never really refined and I often missed what other pipesmokers picked up and would describe in a bowl of tobacco. Based on some good advice from the boys over at The Country Squire Podcast (HT: to JD/Beau) and in order to improve my palate and really train myself to taste the differences in tobacco, I committed to smoking just English tobacco for an entire month. For those non-pipesmokers, the difference between straight tobacco vs. English tobacco is like the difference you would taste between blended whiskey and a single malt Islay whiskey. English tobaccos have a distinct smokey flavor and smell. For the rest of you who can't relate to tobacco or whiskey, it's like the difference between boiled chicken and deep hickory smoked BBQ chicken. My experiment was simple: I chose to smoke (mostly) only tinned tobaccos. I opened and jarred the following tobaccos allowing them to breathe before smoking: Dunhill MM965, The Apertif, EMP, Night Cap as well as C&D Mississippi Mud and G.L. Pease Maltese Falcon. 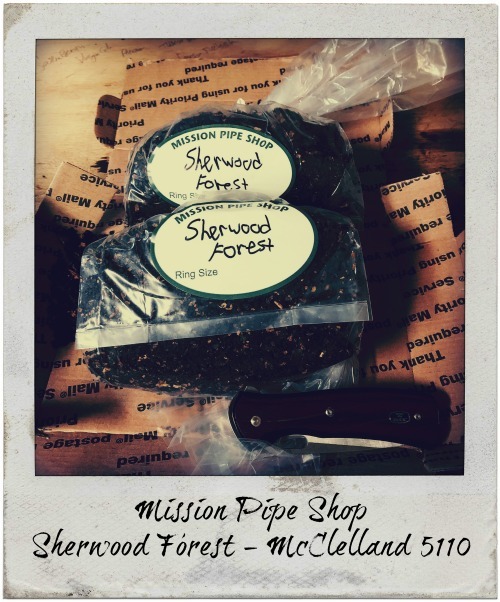 I did add one bulk blend of McClelland 5110 that I purchased from a local brick and mortar under the shop blend name of Sherwood Forest. I committed to smoking these tobaccos in the morning, afternoon, and evening. I enjoyed them in a variety of settings. From lunting in nature to sauntering in my local neighborhood to quiet reflection with scripture, good books, jazz and scotch whiskey to delightful reflection of the day with good friends, my wife and my dogs, I worked hard to savor these blends. The results were magical. Midway through the month, I began to recognize and distinguish what I appreciate in a good English tobacco. 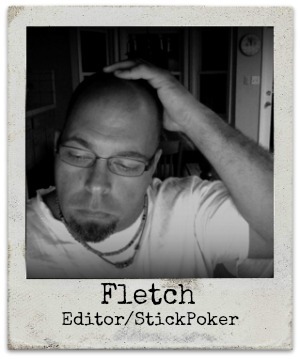 I began to develop a taste for the different components and recognize the nuances that many have spoken about in tobacco reviews and comments about favorite blends and favorite blenders. I had two disturbing setbacks. First, I fell in love with McClellands 5110. The stoved virginia tobacco makes this delicious and adds to an addicting room note (I'd walk back into the garage after smoking this blend and immediately want more). The disturbing part is that due to many circumstances in the world of pipe tobacco, McClelland Tobacco has shut down production of all tobacco in April 2018. How depressing it is to fall in love with something you really love when you can no longer get it. The second disturbing part is that my wife hates the smell of English tobacco in the air and in my beard (I don't think I need to explain the ultimate result of this setback). On Easter 2018 (April 1), I loaded up a bowl of Dunhill Three Year Matured Virginia to begin my month of Virginia/VaPers and WOW could I smell and taste the overwhelming sweetness that I had been missing during my prior habit of jumping around English, aromatic, and straight virginia blends. If you are struggling to appreciate the intricacies of pipe tobacco (scotch whiskeys, hickory smoked chicken), I recommend trying this experiment and letting me know how it works for you. Keep your pipes lit my friends! In my previous post, I shared about my discovery of the Enneagram. Just to review, the Enneagram is a tool that helps you unlock and understand yourself better. Ian Cron, co-author of the book "The Road Back To You," says this: "By challenging us to bravely explore who we really are, the Enneagram helps us recognize and overcome self-defeating patterns of behavior and to become our most authentic selves." Fransican priest, Richard Rohr, explains the Enneagram like this: "The Enneagram is not just a personality typing system. Yes, there are tests and quizzes that help you identify your primary Enneagram type, but that is often just the first step. This tool is meant to help you over a life-long journey." He goes on to explain, "While self-discovery is important, it is not the Enneagram’s final objective. The Enneagram’s purpose is to help us uncover the traps that keep us from living fully and freely as our True Self so that we will use our unique, authentic gifts for the good of others and the world." It would seem that way, especially when you consider that the first time you ever see the Enneagram it looks quite simple. It's really just a circle with numbers and arrows. Some people think it looks mystical, ancient or even demonic, because it looks like a pentagram. In fact, the Enneagram is quite literally a 9-sided polygon (enneagram). 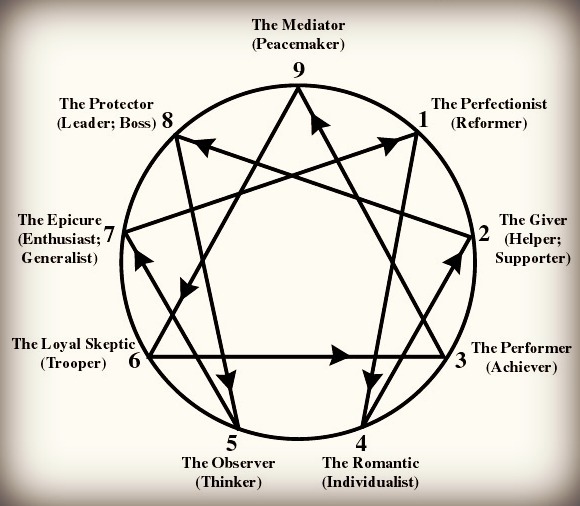 As you dive into the meaning of the numbers and arrows you discover that the Enneagram accomplishes what Cron and Rohr describe by introducing the student to nine human archetypes or as I like to think: nine different ways that we interact with the world around us. Each number on the Enneagram is also related to the numbers on each side. Those are called wings. (For example, looking again at our graphic. The Perfectionist/Type 1 either has a 9-wing or a 2-wing). I'll get into this eventually, but for now it's important to know that very few people are dead center. The truth is we probably lean from our number to one of our two neighboring wings. If that isn't enough, each number has two more corresponding points. On the graphic above, this is depicted as arrows pointing to and from the type you identify with. These arrows indicate where you go in stress and security. If we keep with the example of The Perfectionist/Type 1, you will see an arrow that comes from Type 7 and an arrow pointing to Type 4. What this means is that when a Type 1/Perfectionist is stressed, they begin behaving like an unhealthy Type 4 and when a Type 1/Perfectionist is seeing secure growth, they will begin to behave like a healthy Type 7. Lastly, the Enneagram types are split into three triads. Types 2, 3 and 4 live in the Feeling/Heart Triad. Types 5, 6, and 7 live in the Thinking/Head Triad. Types 8, 9 and 1 live in the Reacting/Gut Triad. This is way more than some of you need to know as an introduction, but my point is that the Enneagram is way more than just a number. Finally, the more you study these connections, the more you will understand how the Enneagram does not tell you what you ARE, but what you ARE NOT. It describes the masks you use to interact with the world. It exposes your phoniness and the ways you bury who you really are. It is a tool on your path to self-discovery. In the next post I want to share how a simple one-day conference not only convinced me of the power of self-discovery, but how it started to undo me personally. Any guesses as to what number/type I am? Let me know in the comments below.